Online ordering menu for Sutera's Shawnee. 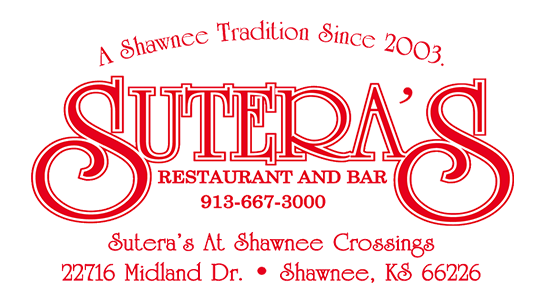 Sutera's serves quality Italian food in Shawnee, Kansas. We have pizzas, sandwiches and pasta. A couple of our premium pizzas include The Colossal and our famous Chicken Alfredo Pizza. We've been serving the Shawnee area for over 10 years. Find us near Shawnee Mission Parkway and Monticello, across from the Price Chopper. We're near the corner of Shawnee Mission Pkwy & Hilltop Road. Order online for carryout or delivery today!